Lecture-Performance “Images of Past as Images for the Future” is based on artistic re-questioning of the politics of archive, experimental methods and the filmmaker. 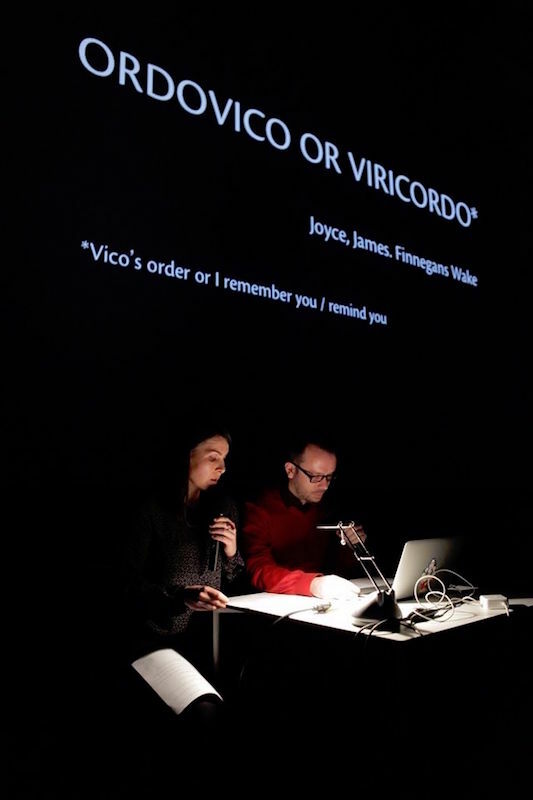 In a performative way artist duo Doplgenger presents their so far research within the project focusing on complications of remembering, representing and voicing distant histories through media images. Simultaneously re-reading certain images in the cannon of archival filmmaking and in the context of media machinery, the artists point at the deconstruction of media narrative and the impact this language has on a viewer. At the same time observing experimental filmmaking methods and appropriation of images throughout their own cinematic treatment, Doplgenger questions the political implications of such procedures and the responsibility of filmmaker/artist. Performed at Museum of Contemporary Art Vojvodina on 20th January 2015. Performed at Museum of Contemporary Art Zagreb on 24th May 2016.